See what I did there? I crafted a clicky headline that (hopefully) piqued your interest enough to get you to click on the link and open this post. 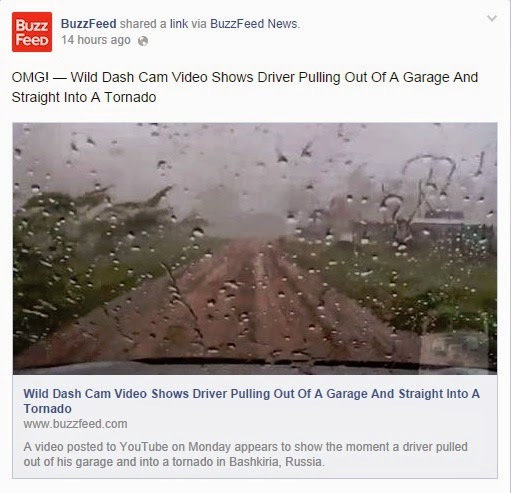 It’s called “click-bait” and it has spammed all corners of the online universe, but Facebook – arguably the birthplace of click-bait – is taking a stand. The behemoth social network announced recently that it is changing the way its News Feed works. “We’re making two updates, the first to reduce click-baiting headlines, and the second to help people see links shared on Facebook in the best format,” Facebook said in its announcement. Even if you don’t know what the term click-bait means, if you’ve spent any time online in the past two years, you instinctively know what it is. Click-bait is a post carefully designed to appeal to human curiosity in order to get you to click on the link. Think Buzzfeed, Business Insider, or pretty much anything posted from Upworthy. Link-clicking is oxygen for online companies. It helps them build their audience, an audience against which they can sell advertising. It is how they survive. 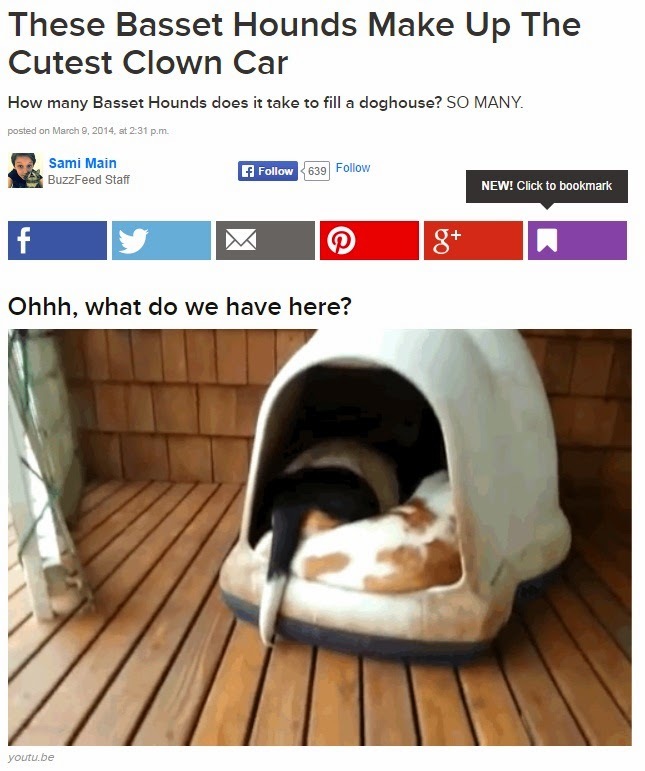 It works because we really want to know what that kitten did, and how many Basset Hounds fit into the “clown car” of the doggie house. And when the content itself reinforces our own world view – “Take a look at these kids and parents and then tell me why the hell we’re sending them back ‘home’”; “People say this world is going to hell in a handbasket, but they’re wrong. Here’s why.” – well, then, that is Internet gold. Racking up huge numbers of eyeballs on digital content does not just happen. The algorithms that control the content delivered to a Facebook news feed or a Google search results page have enormous power to shape who sees what and when. Changes to those algorithms can blow up a site’s traffic or slash it to zero overnight. This piece from The Atlantic offers an interesting look at the history of the rise of click-bait headlines and how it was driven by the ongoing battle for supremacy between Facebook and Twitter. Crafting headlines is not easy. There is a reason why, in most traditional news organizations, reporters did not write headlines. Copy editors did, and it takes an extremely under-appreciated talent to write good ones. Crafting great online headlines is even harder (and many of the best practices for newspaper headlines do not work online). It is a fine line to walk, this idea of giving a reader enough information to decide whether to click, without giving it all away and negating the need to click at all. As to the specific changes Facebook is implementing, you can take steps to ensure that your content still has good chances of being seen on the world’s most important social network. First, make sure that if your headline promises glory, the post itself can back it up. Facebook's new algorithm will take into account how long people stay on a post after they've clicked on it. 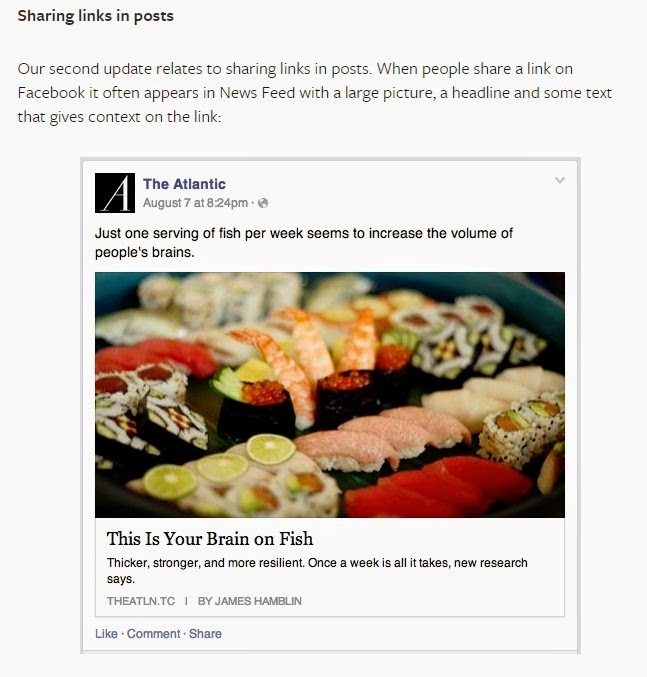 A quick return back to the Facebook feed will be seen as an indication of shallow content. Both those best practices go back to the core truth of content marketing: poor content won’t market anything effectively, no matter how you got the reader to look at it. Focus your efforts on capturing the full attention of your future customer, not on tricking them into clicking. Bait, after all, is for traps.